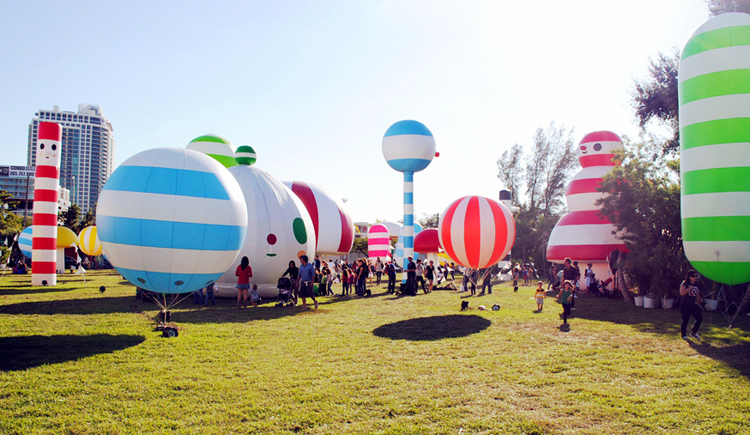 FriendsWithYou is a multidisciplinary art collective and creative studio established in 2002 by Miami-based artists Samuel Borkson and Arturo Sandoval III, to spread the idea of Magic, Luck, and Friendship™ around the world. FWY’s work incorporates a wide range of styles, ideas, and mediums, spanning from fine art to large-scale experiential installations and interactive events to public playgrounds, directorial work, live performances, animation and multimedia projects. To read more about Friends With You Click here .